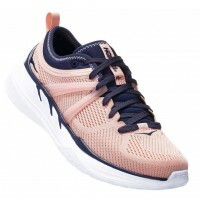 A more open engineered mesh construction with fewer overlays than previous versions to optimize breathability and comfort. Reinforced eyestays for durability. Early stage Meta-Rocker for a smooth ride. 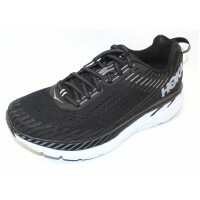 Full midsole provides signature HOKA ONE ONE cushioning. Moderate heel bevel provides smooth heel transition. Flat-waisted geometry provides inherent stability. A more open engineered mesh construction with fewer overlays than previous versions to optimize brea..